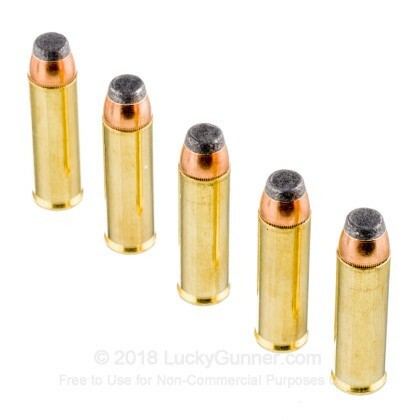 This ammo is a perfect fit for your hard hitting S&W model 500 revolver! 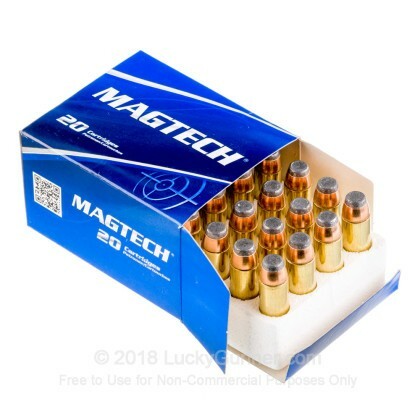 Newly manufactured by Magtech Ammunition, this product is excellent for self-defense, target practice, and range training. 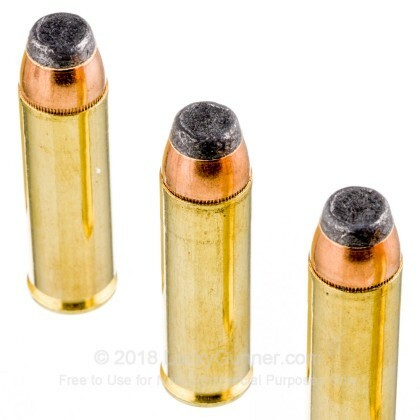 Each reloadable round boasts a reloadable brass casing, semi-jacketed soft-point flat bullet, a boxer primer, and non-corrosive propellant. The bullets are designed for maximum energy transfer upon impact while at the same time ensuring controlled expansion. 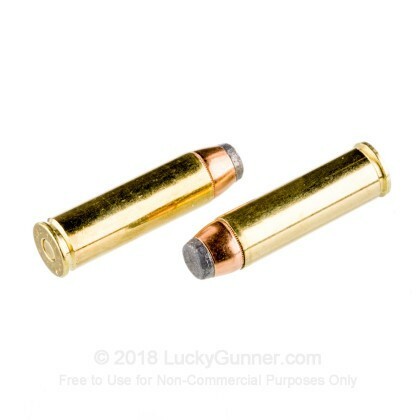 This round is ideally suited for range and hunting use. 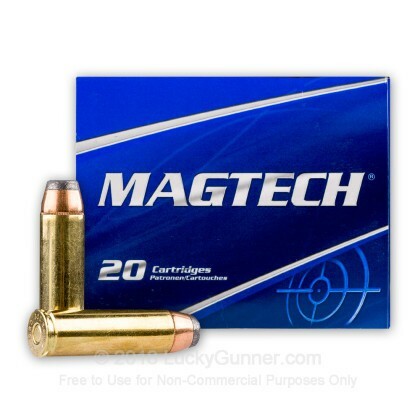 We don't have any reviews yet for this particular .500 S&W Magnum ammo from Magtech. 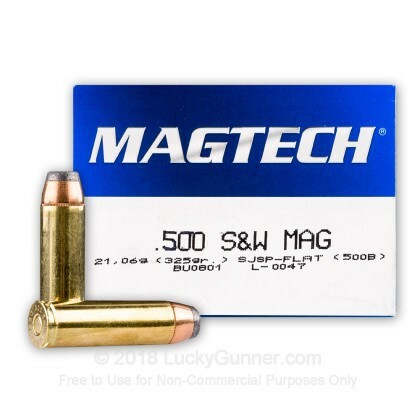 If you'd like to be the first to review this particular .500 S&W Magnum ammo from Magtech, fill out the form below.